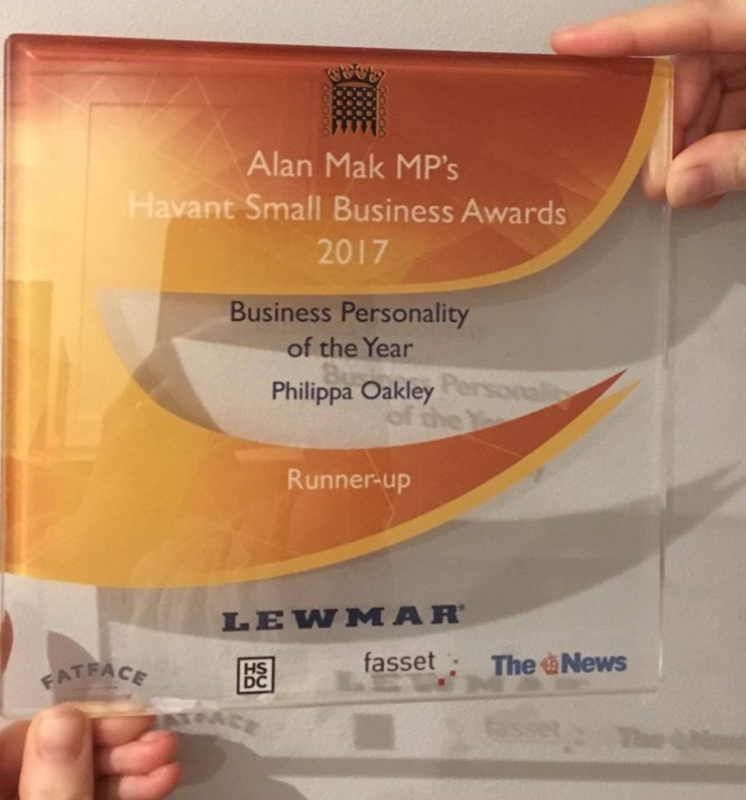 We are delighted to announce Philippa Oakley DC MChiro won runner up for “Business Personality of the Year” in last nights Havant Small Business Awards! The recipients of these awards are nominated by the community and this award highlight’s Philippa’s tireless dedication to improving the health of the community. She works tirelessly to meet the growing demands and healthcare needs of our community to build an enduring, reputable healthcare facility. In addition, the award recognises Philippa’s dedication to giving back. She runs healthcare workshops and seminars to educate our community on health matters. Recent ones include “Running without Pain” and “Kinesiology Taping for Pain.” Acorn Health are involved in charitable fundraising and raised over £500 for local charity Hounds for Heroes in April 2017, and are currently fundraising for children’s cancer charity Neuroblastoma UK. To find out more about Philippa and her experience as a chiropractor, view her profile here. Congratulations to the other runner up Emma of Havant Rooms and the winner 19 fourteas Tea Rooms. Thank you Alan Mak MP for supporting local businesses.